From the expert team behind It's So Amazing! comes a book for younger children about their bodies -- a resource that parents, teachers, librarians, health care providers, and clergy can use with ease and confidence. Young children are curious about almost everything, especially their bodies. And young children are not afraid to ask questions. Why are some parts of girls' and boys' bodies the same and why are some parts different? Where do babies come from? Is it true that a stork brings babies to mommies and daddies? 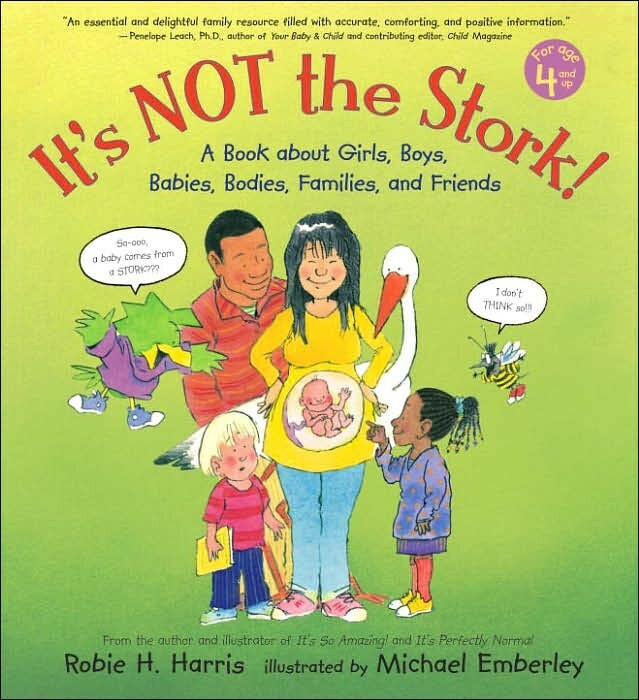 It's Not The Stork helps answer these endless and perfectly normal questions that preschool, kindergarten, and early elementary school children ask about how they began. The authors have also written two guides for older children which cover the same topics in more depth: It’s So Amazing! for ages 6 to 9 and It’s Perfectly Normal! for ages 10 and up. 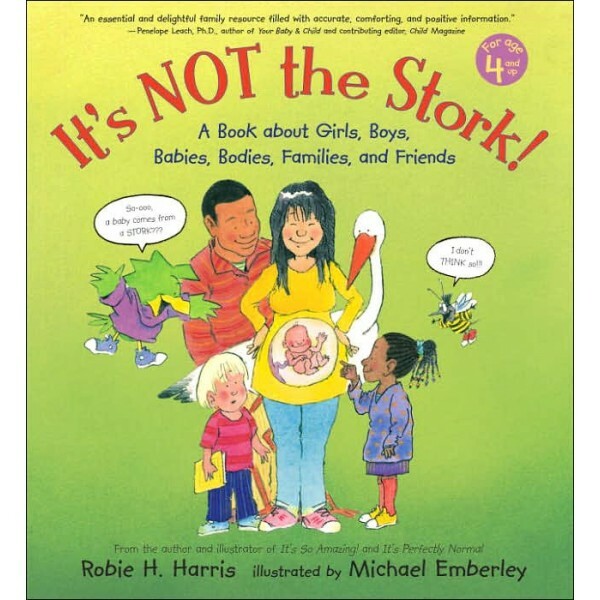 Through lively, comfortable language and sensitive, engaging artwork, Robie H. Harris and Michael Emberley address readers in a reassuring way, mindful of a child's healthy desire for straightforward information. Two irresistible cartoon characters, a curious bird and a squeamish bee, provide comic relief and give voice to the full range of emotions and reactions children may experience while learning about their amazing bodies. Vetted and approved by science, health, and child development experts, the information is up-to-date, age-appropriate, and scientifically accurate, and always aimed at helping kids feel proud, knowledgeable, and comfortable about their own bodies, about how they were born, and about the family they are part of.